After a goalless first-half, McCauley struck from outside the area to give the Bannsiders the lead on 51 minutes. Despite Rory Donnelly equalising for the Reds, Coleraine went ahead via Aaron Burns and sealed the win with Eoin Bradley’s last gasp finish. Speaking after the game, McCauley said it was great to get his hands on some silverware after being narrowly pipped to the Irish League title. “It is a great feeling to win the cup,” McCauley said. “To score and win in a cup final is what dreams are made of in local football and I can’t express what it truly means. 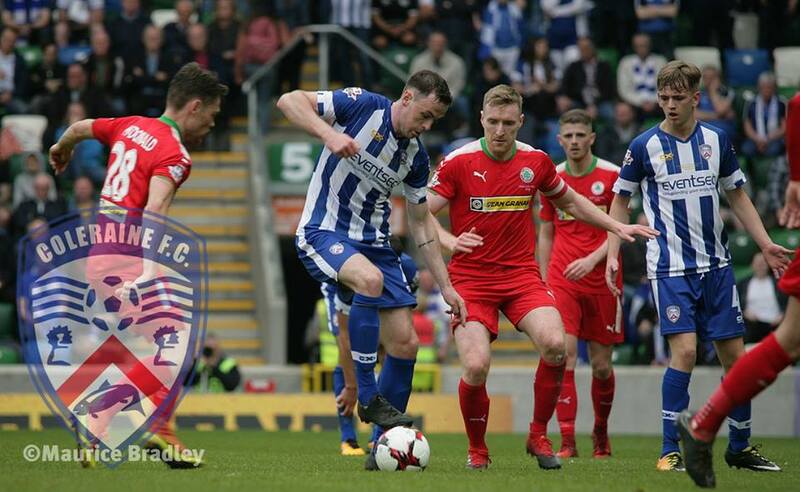 “We were obviously disappointed to lose out on the league, but winning the cup is brilliant for the club, the players, the fans and everyone involved with Coleraine. “It’s been a long journey and a long season, but today caps it off nicely. McCauley also heaped praise on manager Oran Kearney who secured his first trophy as Bannsiders boss since taking over the reins. “Oran has been here a long time and it’s his first trophy, so it’s a big occasion for him,” McCauley added. “He puts in a lot of work and nobody can say he doesn’t deserve it. “He is a professional manager, he does things right and there have been calls for his head. 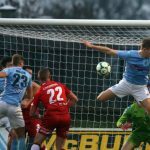 The success was the Stripes’ first major trophy since 2003 and McCauley believes the squad at The Showgrounds has to fight for honours on a regular basis. “We have a few young players mixed with players who are coming into their prime so hopefully we can push on,” McCauley continued. “If we add one or two more players then happy days. 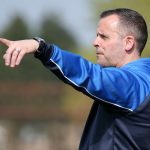 “The aim now is to challenge for the league and Irish Cup next season. 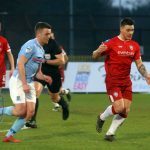 McCauley’s second-half strike was his 20th goal of the season and the former Institute man insists he was happy to reach his personal target. “Absolutely it’s my favourite goal of the season because of the occasion,” McCauley concluded. “I wanted 20 goals at the start of the campaign, so I’m delighted to hit that target on a personal level.